Remember the days when having a mirrorless camera was cutting-edge? Those days are gone, and if you don't have a drone to use for photography, well, you're behind the times! What I love about drone photography is the unique perspective you get when taking photos. The trick, of course, is to figure out how to frame up shots from above that look amazing. 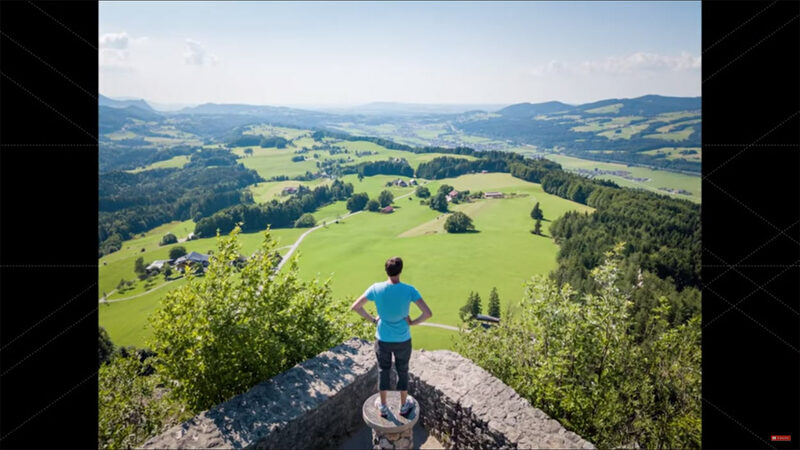 Our friends over at the Cooperative of Photography (COOPH) have teamed up with photographer Christoph Oberschneider to give us the summer drone photography tips we all need. Check them out in the video above, and for a step-by-step breakdown, see the text below. Whether it's your weekly ultimate frisbee league or your kid's summer soccer tournament, sporting events offer some excellent subject matter for drone photography. 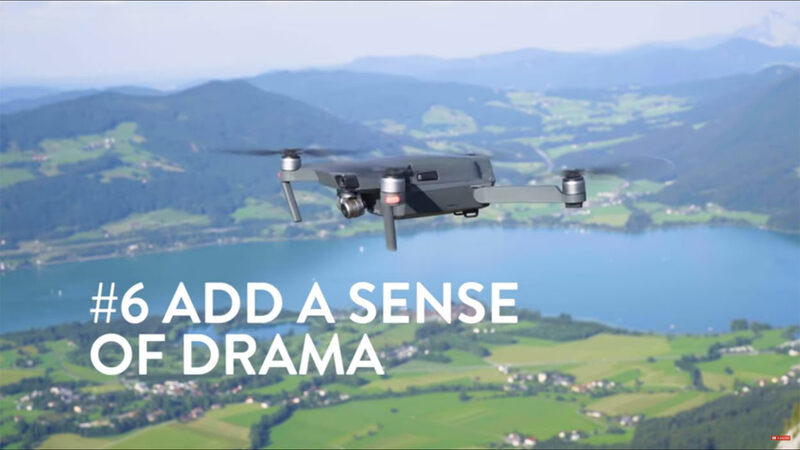 Once the action starts, fly directly above for some fun aerial shots. By looking directly down at the athletes, you'll be able to offer viewers a bit of scale as the players will be fairly small in relation to their surroundings. 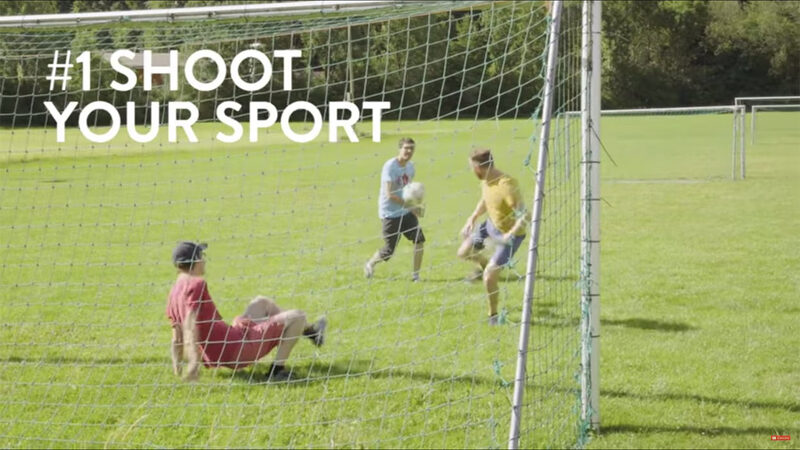 If possible, shoot your aerial sports photos in the morning or evening when there's nice sidelighting. With the sun a little lower in the sky, your subjects will cast interesting shadows across the frame, which creates a lot of depth in the image, as seen above. Look for patterns or textures, too. They add a bit of a dynamic feel to the shot and help break up the monotony of the background, or, in this case, the ground! You know how sometimes you're on top of an awesome mountain, and you wish you could show viewers what you see, but still be in the shot, too? 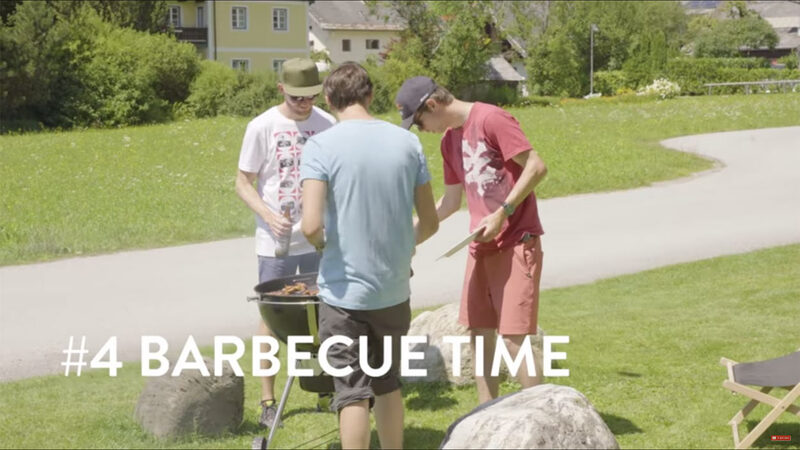 Well, if you have a drone, you can do just that! 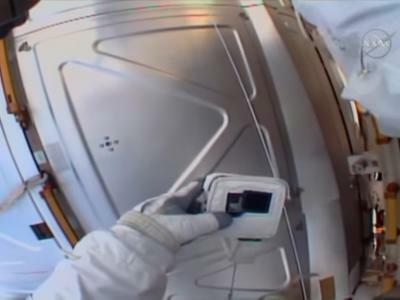 Set it to hover above and behind you, and trigger the shutter to get an epic-looking selfie like the one below! 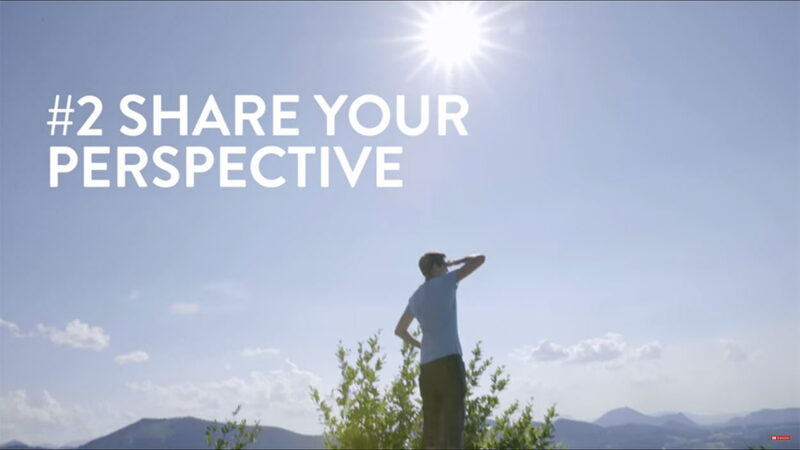 Including yourself in the shot gives context to the scene, allowing viewers to understand the scope and breadth of the landscape because they can see something familiar in the shot - you! This third-person kind of view is unique, interesting, and eye-catching. Give it a try! 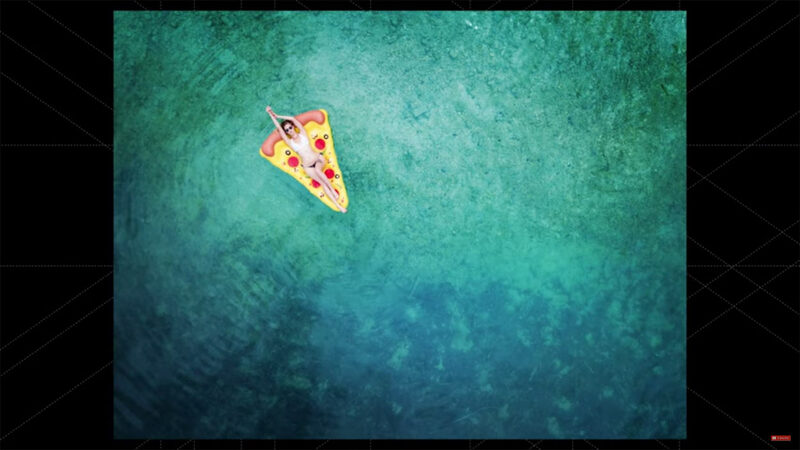 Water is a great backdrop for drone photography for a couple of reasons. First, the water offers interesting colors and textures that help add depth and dimension to the shot. This is especially true if the water is shallow and the rocks and sand beneath the surface are visible. Second, since water tends to be in the blue spectrum, it's a great color to help set off your subject, especially if they have colorful props, as seen above. Just be sure the props you select don't overwhelm the shot with their color, texture, or size. You still want your human subject to be what draws people's attention in the shot! 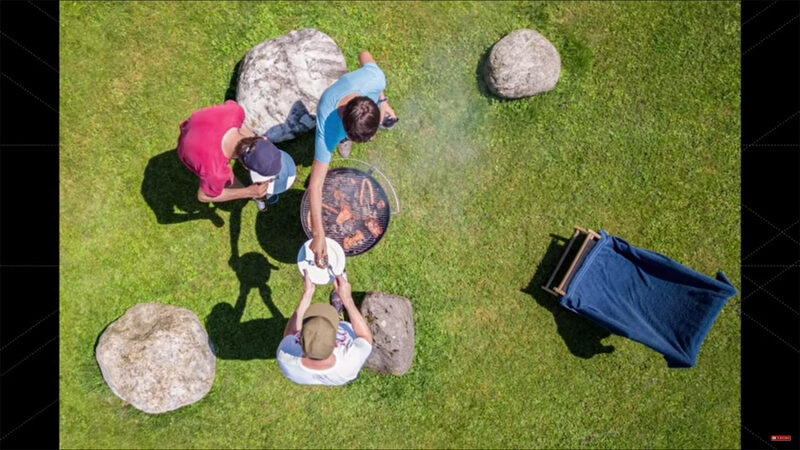 Whether you're cooking hot dogs over an open fire in the woods or simply out in your backyard grilling up some burgers, it's a great time to take to the skies and snag some aerial shots of fun times with friends and family. As was noted earlier with the tips on shooting sporting events, look for opportunities to take advantage of long shadows being cast across the scene. Additionally, incorporate interesting colors, textures, and patterns when applicable. As mentioned above, this helps give the shot a little more visual appeal without being too visually overwhelming. 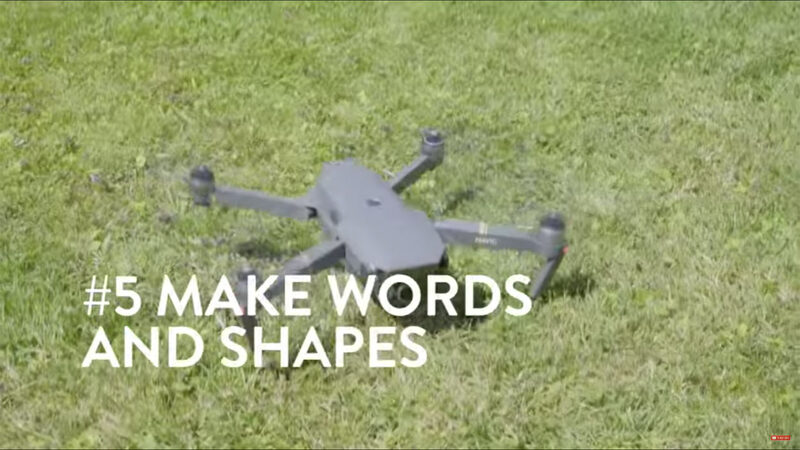 With an aerial point of view, you've got a prime setup to grab a few friends and make some words for the camera. Naturally, the more friends you involve, the bigger the word you can make! Of course, the bigger the word, the higher you'll need to fly in order to accommodate all those folks. But if words aren't your thing, try making interesting shapes by having a friend lay on the ground and giving them props to create whatever their creative mind can come up with! Who doesn't love a dramatic photo? 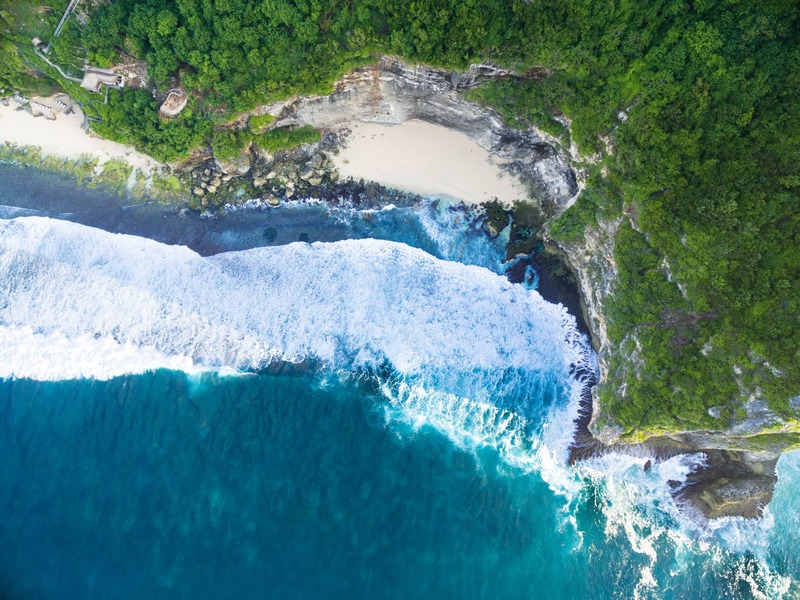 Since we don't often see shots from high above, drone photography is inherently dramatic. But you can ramp up the drama even more by shooting over the edge of a cliff. 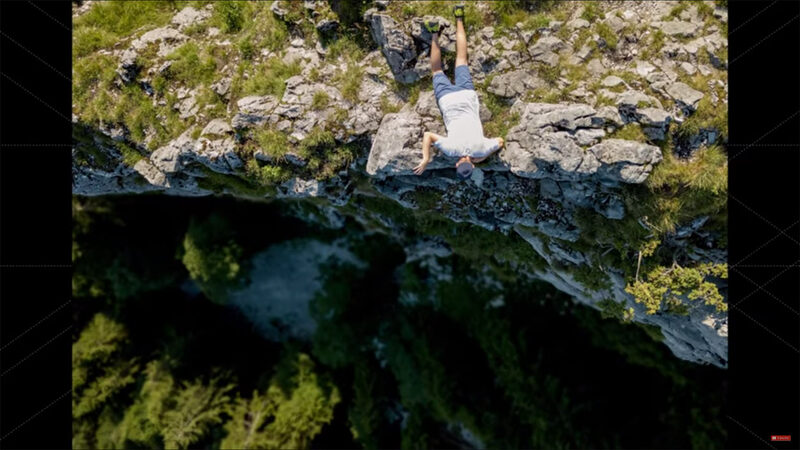 By giving viewers that feeling of vertical depth, you can induce that feeling of vertigo you get when you peer over a cliff's edge in real life! Just be sure that your camera is focused on the person in the shot - that way the deeper parts of the image appear blurry and indicate to the eye just how far away they are. 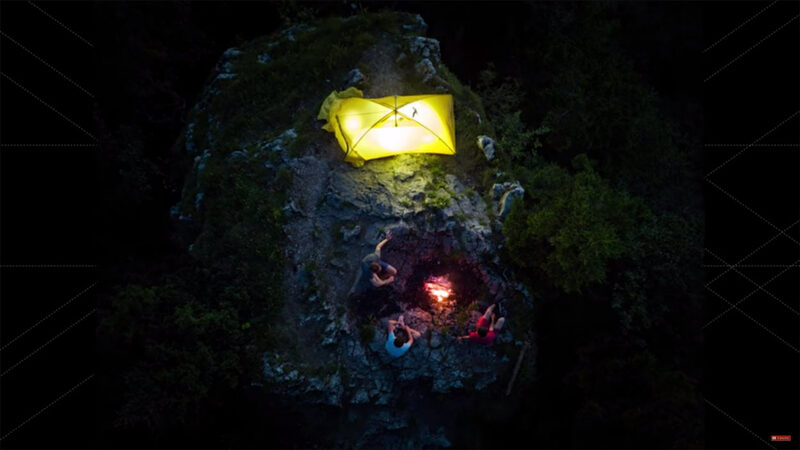 Camping is a great subject for drone photography because not only do you have a beautiful landscape to document, but the situation is also ripe for snagging shots of campfires and tents that are illuminated from inside. 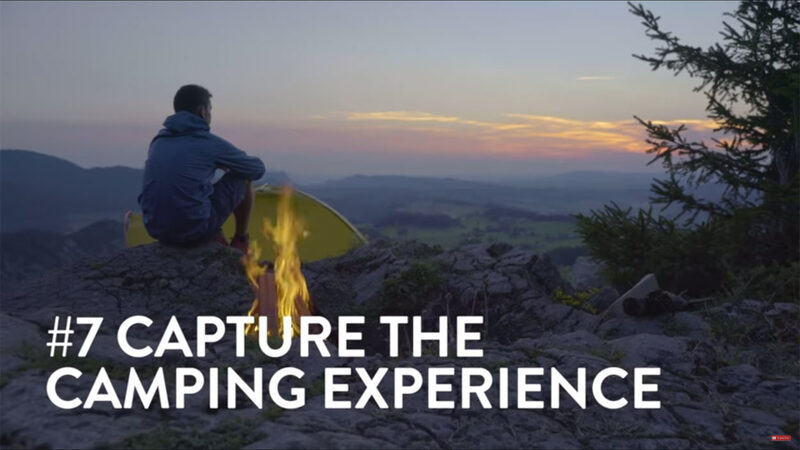 To punch up the drama, send your drone both above and out, that way your camera can capture your campsite and offer a view of the landscape beyond as well. 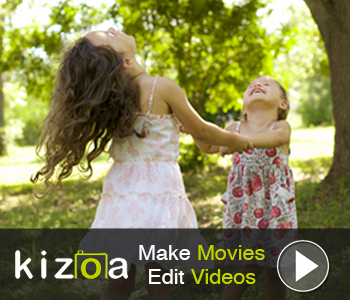 You can also slow the shutter speed down to lighten the image as the sun fades. The slower shutter will create some cool effects as the fire crackles and you move around your camp. In the end, pretty much anything you do with a drone is going to be cool, if you ask me. 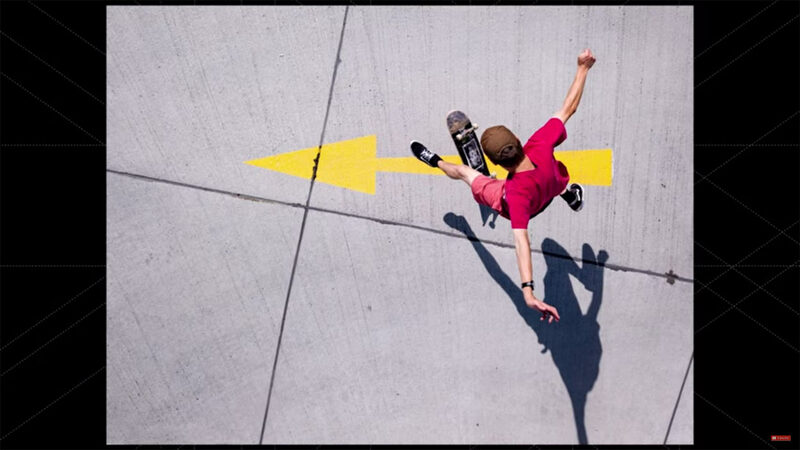 I love the top-down perspective of drone photos, and I especially love the creative ideas that COOPH and Christoph Oberschneider came up with in their video! Of course, to get awesome photos with your drone, you need a way to get it and all your other gear to the shoot location. So why not utilize a bag that not only protects your drone and associated gear while also doing it in style? 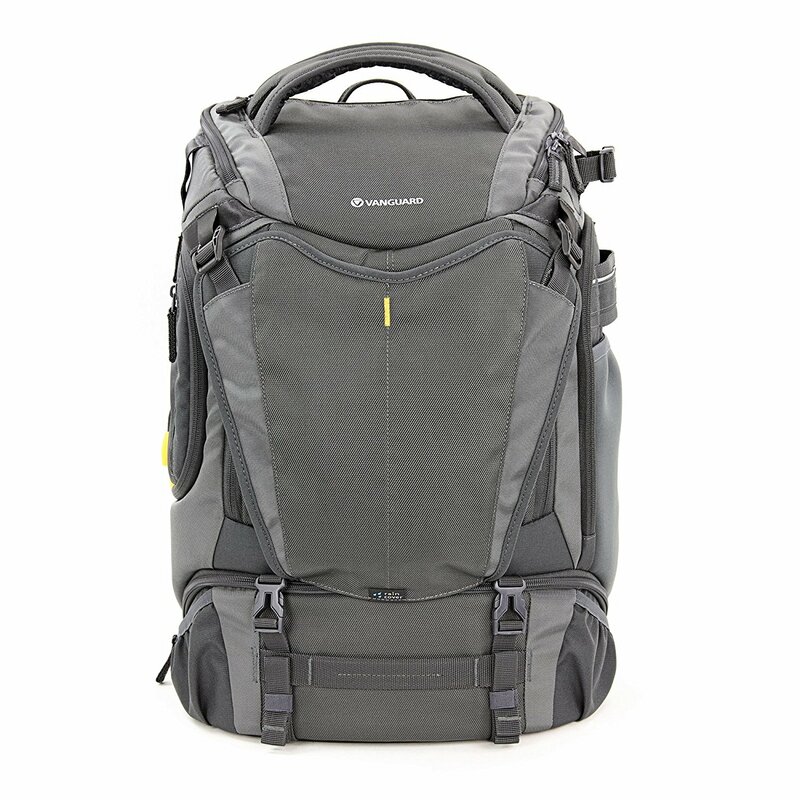 As you can see above, this bag is massive, giving you all sorts of room for your gear. In fact, the Alta Sky 51D can accommodate up to two professional DSLRs (with lenses attached! 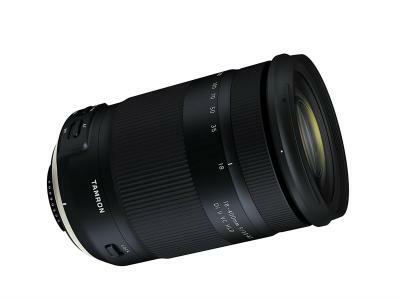 ), 3-4 additional lenses, a flash, and other necessities like spare batteries and memory cards. 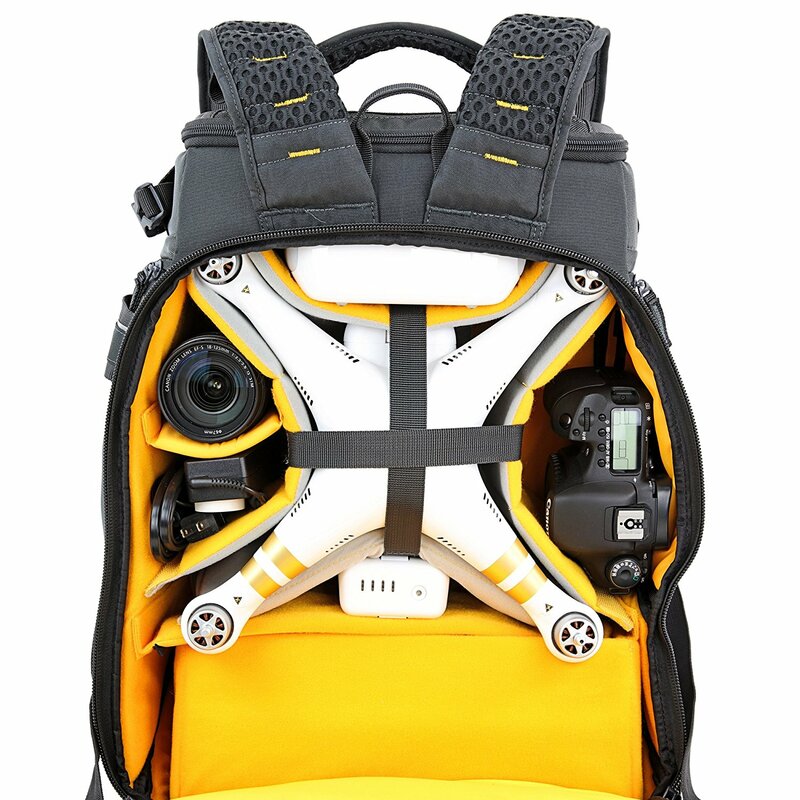 Alternatively, you can use the bag to carry your drone and all its accessories, in addition to having room left over for a mirrorless camera setup and an additional lens. What makes all this storage possible is the innovating 1/3-2/3 division system that Vanguard incorporated into this bag. That means that you can decide how much of the bag you need to dedicate for gear and how much you can use for storing items that you need for your adventure, like a jacket, sunglasses, and so forth. And no matter what you're carrying, the Alta Sky 51D's full rear opening, side access, and top access panels give you quick access to anything you need. Once the bag is open, there's no fumbling around trying to find your gear, either, thanks to the incredible level of organization the bag offers (the brightly colored interior helps, too!). 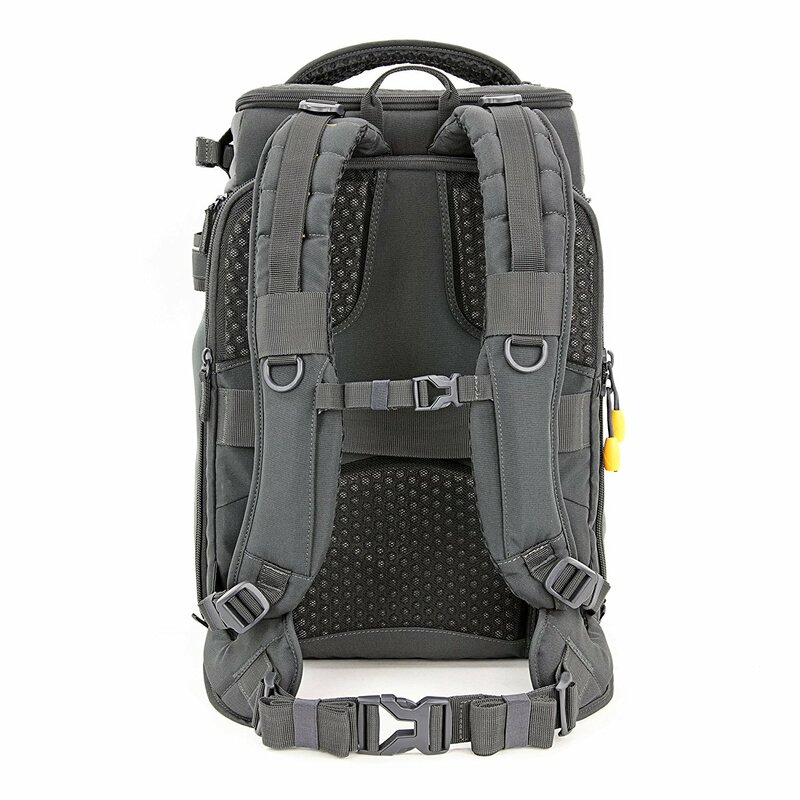 It's easy to carry as well - the ergonomic Air System back, harness, and waist belt means that you can carry your gear in ultimate comfort. In other words, drone photography isn't just about getting the cool shots as outlined earlier - it's also about getting your gear where you're going and doing so in supreme comfort. The Vanguard Alta Sky 51D does just that.